Football season may be over for the year, but the concussions experienced by many NFL Football players will have effects that long outlast the Superbowl. The different kinds of brain damage that can occur as a result of being a professional football player have received more extensive media coverage in recent years. This article will give you the basics about why traumatic brain injuries have been such an issue for the NFL. According to the NFL’s 2015 Health and Safety Report, concussions during regular season games have been reduced by 35% since 2012. This could be due to the NFL’s 2013 ban on tackling players from a hard hit to the top of the head. 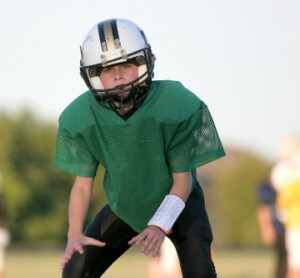 The NFL has also considered other changes to reduce concussions, such as training individuals to adopt a tackling style that is similar to the one used in professional rugby. Many players from the NFL do not feel that the league has done enough to inform them of the long-term consequences of playing the game. Family member’s of deceased players are devastated by having to watch their loved ones suffer from the effects of multiple concussions and the long term effects of TBI’s, such as depression, Alzheimer’s, and dementia. Because these individuals and their families feel that they need to be properly compensated for their loss, the NFL has been exposed to multiple lawsuits for medical costs, lost wages, and emotional harm. The NFL long has denied any wrongdoing and has consistently insisted that safety always has been a top priority. For real change to occur, the NFL needs to realize the true long-term impacts that concussions and TBI’s can have on individuals and take the steps to create policies and procedures to keep players safe. For more information on TBIs, join the TryMunity community today. We are all in this together.